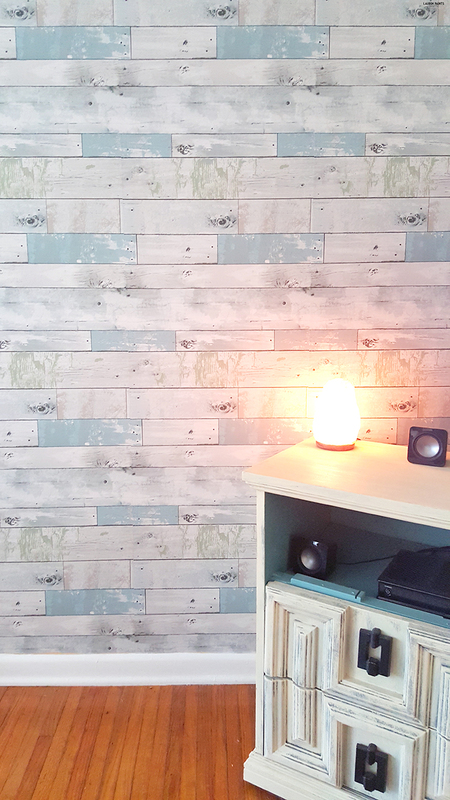 Add a DIY Beach Wood Wall to ANY Room in Minutes! Thanks WallPops for sending over the gorgeous samples of NuWallpaper, my wall has never looked better - regardless, all opinions expressed below are my own. Although we moved into our "new place" all the way back in June, we are just now finally settling in completely. From hanging pictures to rearranging furniture, I've been giving the entire house an overhaul, simply because I want it to feel cozy and comfortable, all the time, in every room. Once I realized that our living room wasn't giving off the vibe I wanted I started trying to find a way to complete the look/vibe I wanted for the room. We're actually renters so my dream idea of knocking down the wall between the living room and the kitchen isn't an option. 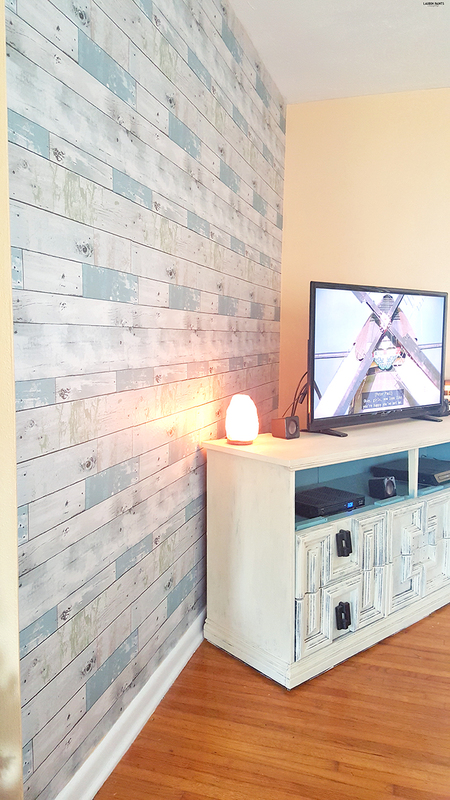 So when I heard about NuWallpaper from WallPops, I knew the Beach Wood wallpaper was the answer to making our living room finally have the vibe I wanted. While it's beautiful in my eyes and I'm so happy we can have the beautiful "wallpaper" on the walls while we are here, I'm also pretty excited about how easy it is to remove... the second we decide to move out, we simply pull off the paper and the house is ready for it's next owners! I love how easy it would be to personalize your space in every single room with NuWallpaper! 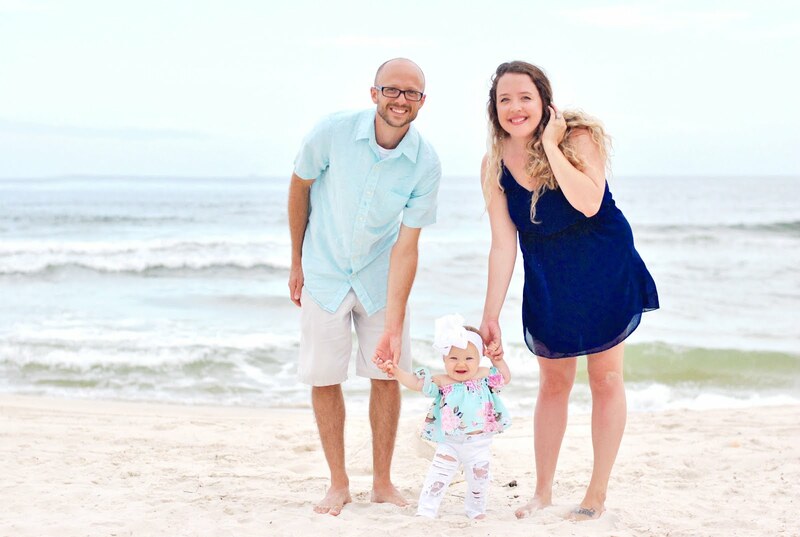 I'm dreaming of adding a beautiful little back splash detail to our kitchen next... and really, with so many gorgeous options, I can't wait to add my own touch in each room of our house! Each NuWallpaper roll measures 20.5 inches x 18 ft and retails for approximately $49.99, so adding an accent wall is totally an affordable upgrade for any room! 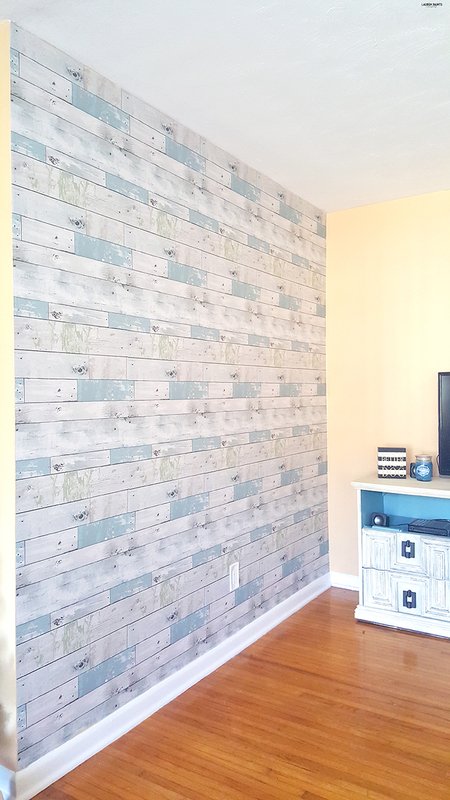 Applying this beachy wallpaper was fairly easy, with the help of my husband we had the project completed fairly quickly. It's just a matter of cutting, lining things up, and then sticking the gorgeous new addition to the wall. 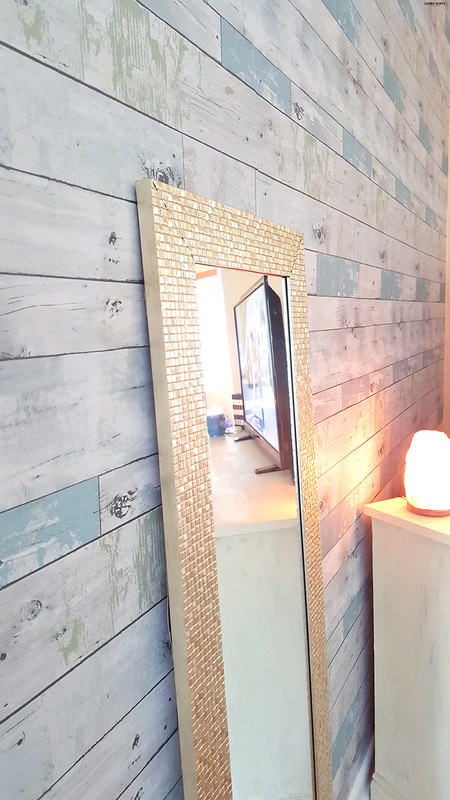 Are you wanting to add a fun feature wall to a room in your house? Check out all the gorgeous options from WallPops & let me know which one is your favorite!